Pediatric oncology is an intense field of study in our century, with new developments and changes being made constantly. The management of children with cancers involves, as it does for the adult population, a multidisciplinary team including pediatric surgeons and oncologist, but nevertheless the results are not always satisfying and sometimes difficult to achieve. We report the case of a 6-year-old boy who was admitted to our hospital for acute abdominal pain, in the right upper quadrant. After several paraclinical investigations, it was concluded that the pain was determined by an aggressive form of cancer that had spread to the liver and lungs and invaded the abdominal cavity and pelvis. The biopsy revealed a desmoplastic small-round-cell tumor. He was then referred to an oncologist and a treatment protocol (which included both chemotherapy and surgical management) was initiated. Finally, 6 months after the first hospital admission, at the histopathological analysis, the primary tumor was diagnosed as Wilms tumor. 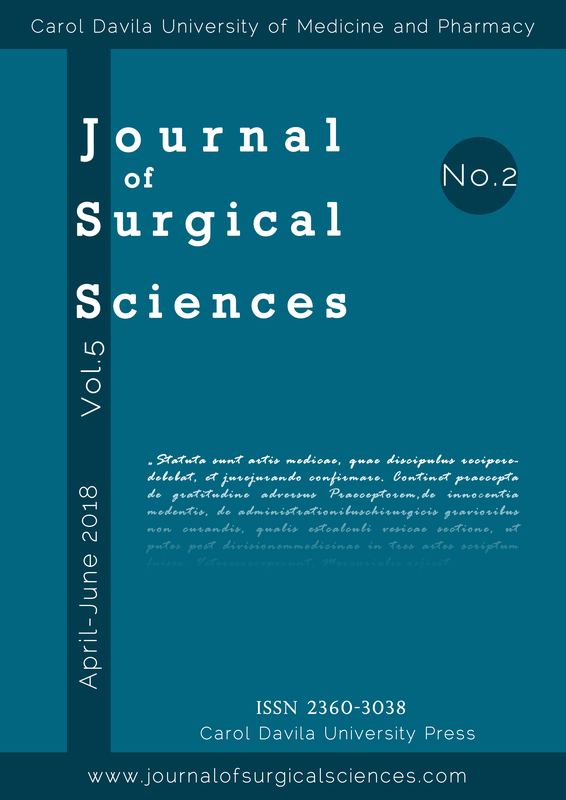 R. Datu, T. Enache, O. Stanciu, A. Sorescu, and M. Andriescu, “METASTATIC WILMS TUMOR WITH A SURPRISING RESPONSE TO A DIFFERENT MANAGEMENT – CASE REPORT”, JSS, vol. 5, no. 2, Nov. 2018.